Catalia Health is helping improve the way people coping with chronic disease manage their condition and interact with their care team. Our Mabu healthcare coach is a novel interactive robotic companion built on top of psychological theories of relationship development combined with current human-robot interaction work. This core platform builds strong relationships between the robot and the patient by having regular conversations to help them better manage their ongoing healthcare challenges. The information generated as a result of these conversations is shared with their doctor to help to improve their overall care. The Mabu platform is based on founder Dr. Cory Kidd’s 15+ years of experience in healthcare technology and human-robot interaction. This is combined with a strong core team that has been developing the technology (hardware and software) and user experience for most of the past year. Mabu was designed in collaboration with IDEO, the pre-eminent design firm, while Catalia Health was Startup in Residence at IDEO’s San Francisco studio for five months. Catalia Health is backed by a group of investors that are known for engaging with successful leading healthcare technology companies. We have begun rolling out with major industry customers in health care. We’re looking for individuals who want to join a team focused on solving real-world healthcare challenges for a large number of people. We’re a tight-knit team working in a space with a wonderful outdoor deck in San Francisco’s SOMA neighborhood, creating new ways of helping chronic disease patients. We work hard but spend our evenings and weekends at home (or out, it’s your time). We’re a healthcare company foremost, so everyone’s well-being is our priority. We welcome diversity and believe in hiring the right person as opposed to the right combination of tech keywords. We’re more interested in hiring enthusiastic learners looking to grow than we are in hiring know-it-alls and been-there-done-thats. It has come to our attention that some job seekers are being targeted by Internet recruitment fraud. Recruitment fraud happens when an unauthorized party claiming to be from a legitimate company offers a person a career opportunity in exchange for payment or personal and financial information from the applicant. Catalia Health would like all of their potential candidates to know we will never ask you for financial information or payment of any kind as part of the interview process. If you believe you have been targeted by an unauthorized or fraudulent recruiter claiming to be from Catalia Health, please call 1-855-869-6228 to let us know. 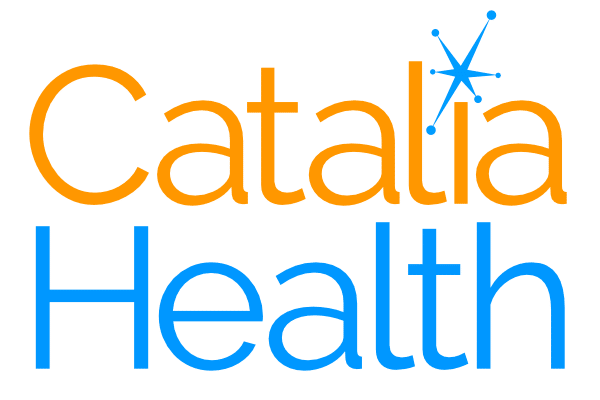 Catalia Health is an equal opportunity employer and does not discriminate on the basis of race, ethnicity, religion, gender, age, disability, marital status, sexual orientation, or military status.